Our baby boy officially turned a year and a half yesterday. Goodness, how time flies! Here's this month's update. Weight: Probably still about 24 pounds. He has a doctor's appointment next week so we'll get the official number then. Height: My best guess would be 33.75 inches. Diaper Size: Size 4 disposables still. He's been waking up during the night a lot lately with full diaper, even with the Huggies Overnites. I think he hates the feeling of a super full diaper, which is a good first step towards potty training. I don't anticipate starting that process until next year, but becoming aware of what's in their diaper is a big step towards potty training. 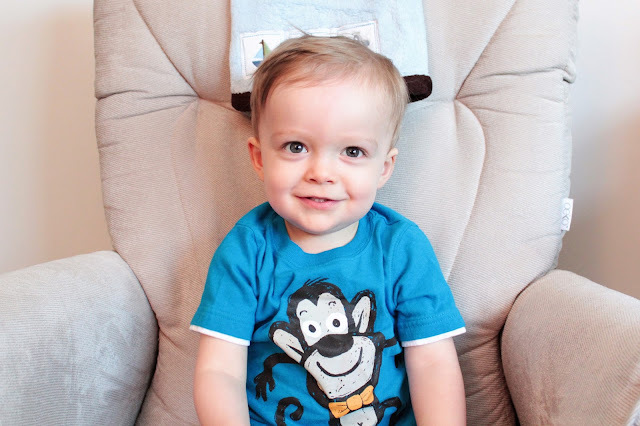 Clothing Size: Everything from 12 months to 2T! 18 month stuff is primarily what he's in though. Still size 5 shoes. Eating: Thankfully eating was a lot easier this past month. The other night he even ate a full serving of broccoli! I switched it up a bit at meal time and instead of offering a regular plate of different foods, I start by just offering the veggies so he's gotta eat them. Seems to be working. His favorite foods are still fruits, berries in particular. And I should mention that he loves using utensils. He's great with a fork and loves to stab his food, but doesn't quite get the concept of a spoon. He always turns it upside down and get's frustrated when all the food falls out. Sleeping: Still cosleeping, and as I mentioned above, he's been waking up a few times a week. He usually falls right back to sleep after a quick diaper change. He's typically in bed by 8:30pm and will wake up for the day anywhere between 7:30-9am. Teeth: 15 now! Three new ones are just starting to pop through. I bet number 16 isn't too far behind. 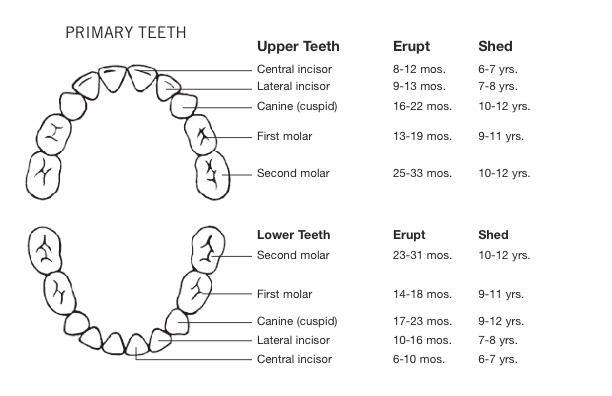 After that he's almost done teething, just one last set of molars remain, which shouldn't pop up until after his birthday according to this chart (he's been right on track for all his other teeth). Communication: Harry is turning into quite a talker these days! He's still mostly in the "copy what he hears" stage, but recently he's asked for a few things on his own and will tell me what something is when I hold up the object. Here's a quick video I shot the other day of Harry talking to me. And here are a few random pictures from yesterday. Because it was Harry's half birthday, we got him some kolacky from Chicago Pastry as a little treat. The cookies are so rich and buttery, but the fruit makes them healthy, right? We've been spending a lot of time outside lately. 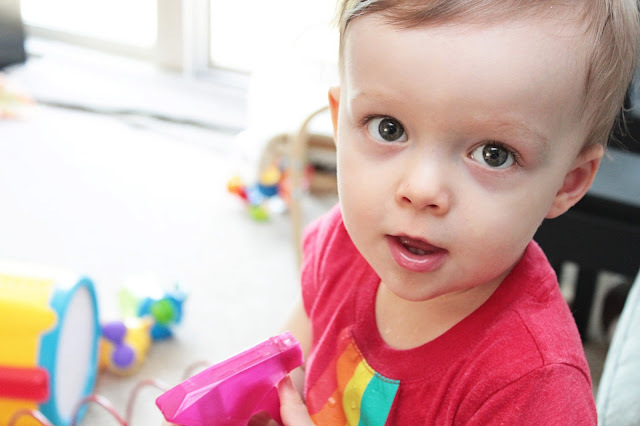 It's the best temper tantrum cure! These pictures aren't great, but Harry refuses to sit still for even a second outside so this is the best I was able to get yesterday. 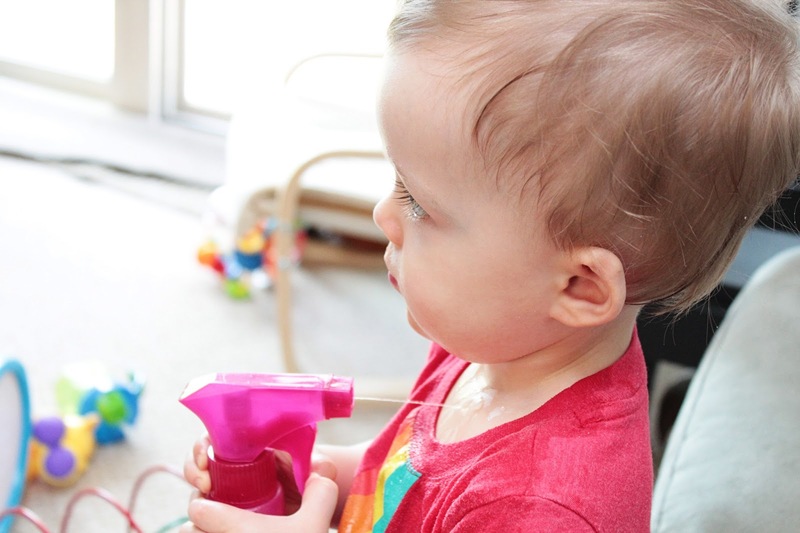 Harry's always loved playing with spray bottles. He thinks it's hilarious when we spray the water on his head. Recently he learned how the spray mechanism works, and will soak his entire shirt in a matter of seconds. All in the name of fun! © 2011-2015 TheAccidentalWallflower.com. All rights reserved. Powered by Blogger.